Can bacon get any more popular? It seems it can. 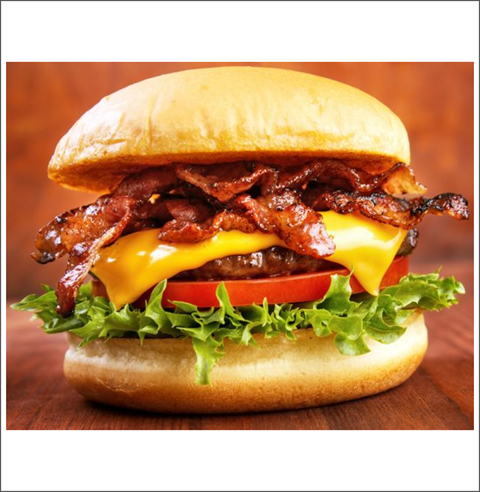 Over 2/3 of QSR restaurants in the U.S. feature bacon items on their menus and this is expected to jump to 70% by 2022. Burger King recently added bacon to its Cheesy Tater Tots; McDonald’s ‘Bacon Hour’ gave away free bacon to customers with any order; Wendy’s tempted customers to a free Baconator cheeseburger if they used 3rd party delivery service DoorDash. Amidst rising prices, limited time offers featuring bacon can also be used to justify higher prices for the value-focused consumer by emphasizing the amount of bacon — double or triple the usual serving. 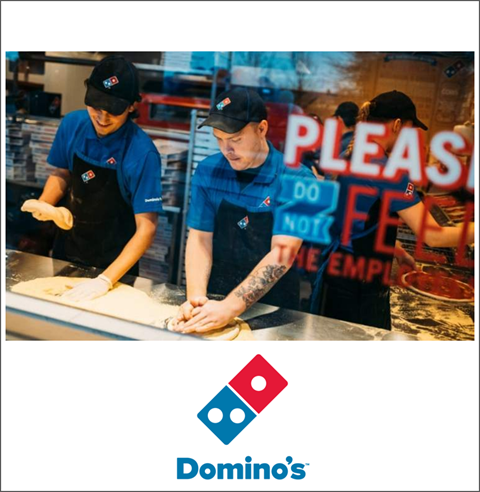 Product and tech innovation are the focus for DP Eurasia, Domino's master franchisee in Turkey, Russia, Azerbaijan and Georgia. It recently announced group revenue and system sales increases of almost 37% and 31% in 2018 respectively. Russian system sales in particularly were a highlight (+82%), while its biggest market, Turkey, also performed well (+14%). Online platforms saw a 9% increase in share of sales since 2017. 81 new stores were opened, bringing the total store count to 724. Also, Russia’s market leader in pizza delivery, DoDo Pizza is opening its 2nd UK store in Coventry. Dodo is present in 12 countries (mostly Eurasia) with about 472 stores. 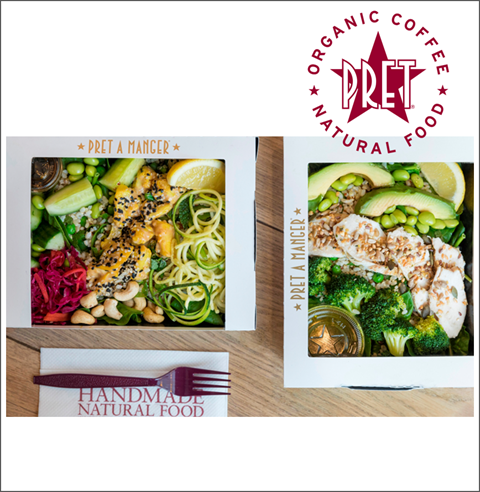 Pret A Manger recently announced 20 new spring menu items including gluten free open sandwiches as well as vegetarian and vegan options – click here for a preview >> Since “two thirds of Pret products are now purchased outside of the lunchtime period”, Pret has added new snacking pots to its range including a Chicken & Smashed Beet Pot and Roast Mushroom & Smashed Avocado Pot. With a focus on health and convenience, other Spring menu items include an Avo and Bacon Breakfast Baguette, and Chicken & Pea Crush Baguette. Following the success of the Bang Bang Chicken there is now a Bang Bang Veggie Wrap and Bang Bang Broccoli Salad. Who or what will be setting menu trends in the future? McCormick & Company is using 40 years of IBM data in collaboration with Massachusetts Institute of Technology's (MIT) to learn about and produce new flavour combinations in a bid to push the limits of human-AI collaboration. The AI platform called ONE can analyse hundreds of thousands of formulas using over 5,000 ingredients and is expected to launch mid-2019. Anyone for shrimp, jelly, and Italian sausage pizza – click here to watch >> Avocado bacon and peach pizza? It’s beyond our (human) imagination. March weather seems to have warmed up UK consumer spending habits after a frosty start to the year. Consumer spending increased by 3.1% YOY in March – spend on essentials rose 2.2% while pubs and restaurants helped non-essential spending climb by 15.1% and 12.1% respectively. MCA’s consumer dashboard reported visit frequency was up at breakfast, dinner and snacking while lunch frequency remained stable. 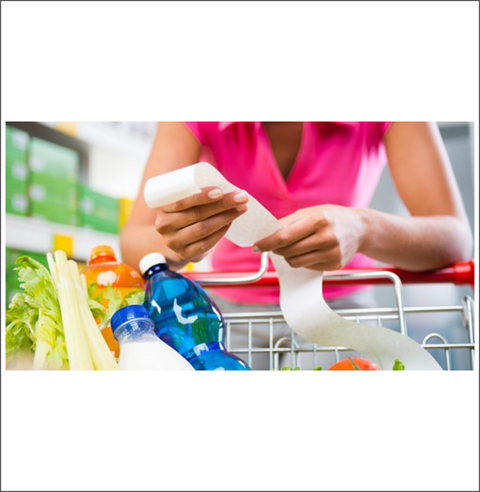 Average spend per visit increased well above menu price inflation at breakfast and dinner. In today’s world of mindfulness and reflection, ‘being fun’ also matters to consumers. Research by OC&C Strategy Consultants shows that brands that provide a ‘fun’ atmosphere see stronger brand loyalty and more positive recommendations. 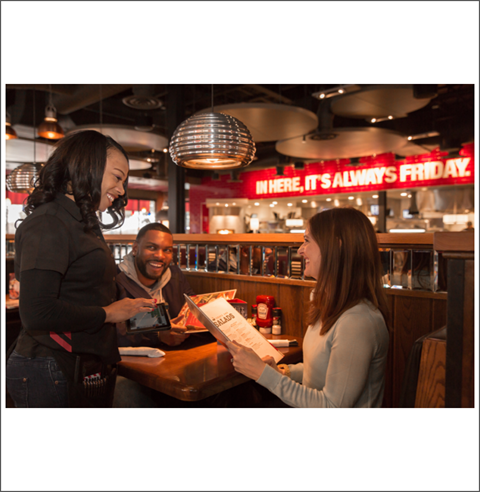 TGI Fridays and Five Guys received some of the highest fun scores amongst other hospitality brands. Millennials and Gen Z are changing the conventional value-based approach by opting for experiences rather than products and getting inspiration online when deciding where to go. The OC&C Fundex identified Subway as winning the Best Fast Food and Food-to-go category and Wagamama as Best Restaurant. 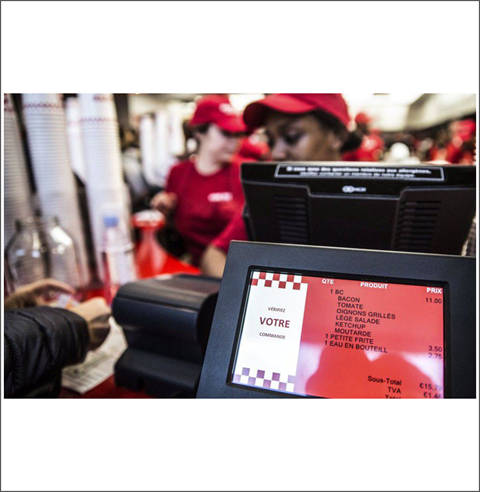 French consumers are less likely to recommend a restaurant chain than other Europeans, according to survey results by Food Service Vision (23% of consumers recommended a chain restaurant, compared to 31% of English and 34% of Italian consumers). So, what do they value most when it comes to eating out? First is quality ingredients offered at the right price. Location, accessibility and atmosphere are also key factors. 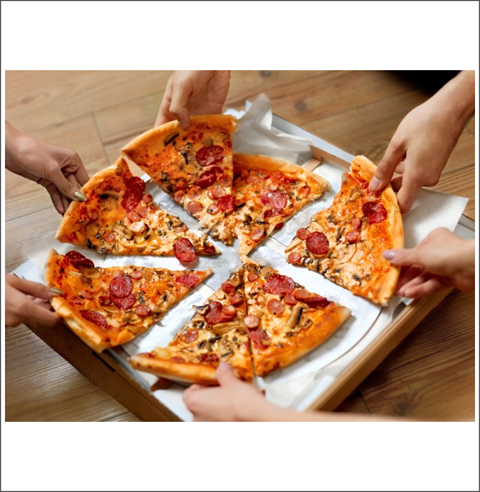 The online presence and delivery options were found to be important to the French as more consumers are choosing to order in. 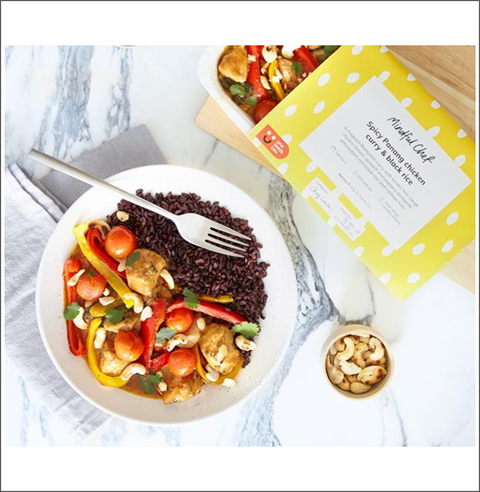 Health-focused recipe box supplier, Mindful Chef has expanded its portfolio with 4 new frozen ready meals. Spicy Panang Chicken Curry with Black Rice, Italian-Style Beef & Squash ‘Lasagne’, Creamy Coconut Fish Pie with Sweet Potato Mash, and Pulled Barbecue Jackfruit with Charred Corn. It is entering a trial partnership with Deliveroo for a limited time this April in Manchester and parts of London. 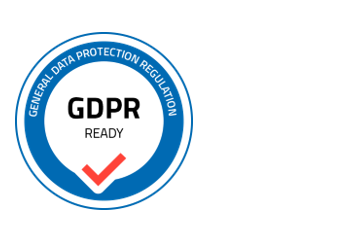 Since launching in 2015, the business has accelerated growth reporting a 178% rise in sales in the past year and revenue of £10m. Investors include athletes Andy Murray and Victoria Pendleton with a £6 investment achieved earlier this year. As protein experts, we watch with interest as the attention surrounding plant-based products continues unabated. Terminology is tricky in today’s transparent social-networked world. 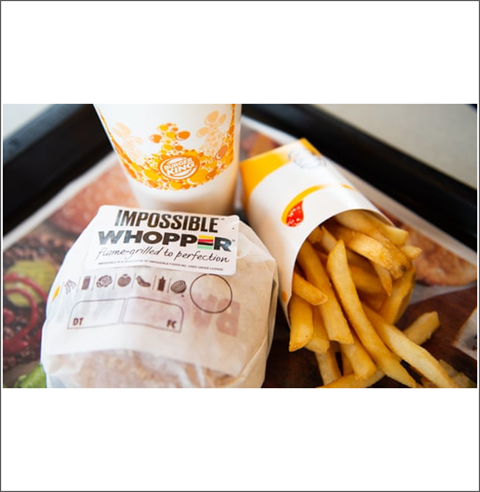 The Guardian corrected its article last week after reporting on the Impossible Whopper launch by Burger King - "to clarify that the Impossible Whopper is a plant-based burger; but is not vegan”. A spokesman for Nestlé recently said, “We believe that a more plant-based diet is the future and one of our strategic priorities is to expand our vegetarian and flexitarian choices” (quoted in the Grocer). We’re firmly in the flexitarian camp, offering greater choice of proteins to consumers, which we feel will be a long-term choice.